Sorry To Bother You follows an unemployed twenty-something named Cassius Green who gets a job to impress his activist girlfriend Detroit (Tessa Thompson) and to pay his Uncle Sergio (Terry Crews) rent since he and girlfriend are living in his garage. The Oakland native gets a telemarketing job, but wasn't good at it. His co-worker Langston (Danny Glover) noticed he was having trouble connecting with customers, so he encouraged him to "use his white voice." Have you ever been there? Having to change up something about yourself in order to excel at job or to even land a job in the first place? 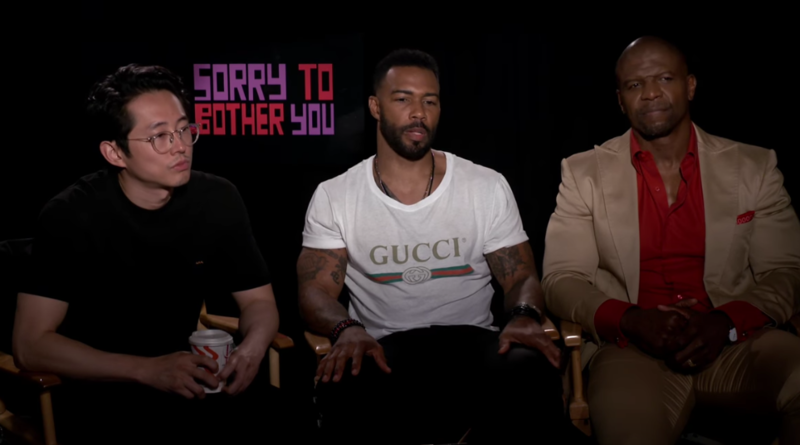 Stars Omari Hardwick and Terry Crews are former football players-turned-actors, on top of being black men. We all know they've maneuvered through different spaces to make it to the next level. 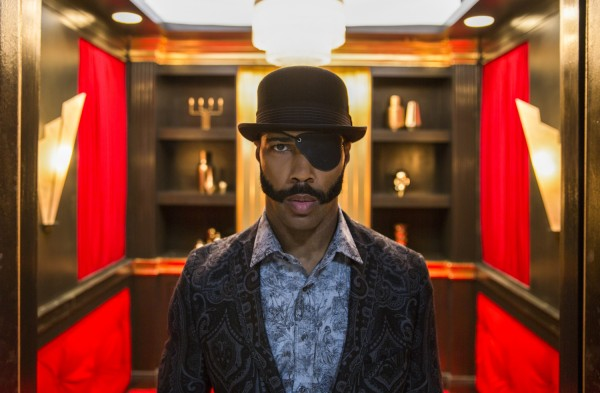 Omari, who plays super telemarketer Mr. Blank, told us how sometimes folks in the black community have to adjust and bend due to societal norms - blacks "aren't supposed to talk a certain way" or "look a certain way" or even "know certain things." Often times, you can be on either side of the spectrum and still not get ahead: They say get an education, but being a black man with an education will make you "too educated." Basically, we can't win. "The reason that Asians are considered the model citizen is because there need not be because they didn't come to the country to build it from a soiled and toiled stand point," he told YBF correspondent Unique Chapman. "This country... There need not be the level of aggression out of anger because you don't have any money. So the level of aggression out of anger because you don't have any money is usually painting brown people in America. So it's interesting you have to do certain things to get jobs or get commerce. The divide is about money. If you can figure out how to make money by not being aggressive, or not necessarily being angry, or becoming most imperatively educated, then it dilutes some of that aggression that people see in you." "Education is the equalizer," Omari said. "But then sometimes, if you sound too educated and you don't look the right color to be 'educated' within our country, people have constructs about what you're supposed to sound like and act like. So the reality is you often times have to switch all types of things to get jobs, just to survive." Star Terry Crews, who was drafted into the NFL in 1991, opened up about the craziest thing he ever had to do to secure a job. It involves being basically naked during the NFL combine and "feeling like an animal" because of their "inspection". "I think that if people were making art that reflected what really happens in the real world there's no way to keep the way the world works out of it," Boots Riley told us. "So, I don't think that it's only that people have a duty to talk about these things. I think that if your duty is even to make art that's relevant to the world, that it has to include in these worlds that you're creating rebellion and resistance," he continued. He said when you're making up a created world, you're still going to end up having some type of reflection of what's going on in society. "Just in the process of making that world more real, you're going to have to end up having an analysis of the world and it's going to in some way have ideas about social change even if that's not the main storyline," Boots said. In case you missed it, check out our exclusive with Sorry To Bother You stars Tessa Thompson and Lakeith Stanfield HERE. We love when YBF folks speak on the ish that really matters. Sorry To Bother You hits select theaters today and everywhere else on July 13th!